To understand what Compagnie M. stands for I would like to take you back in time. One day I got pregnant and as an expectant mother (of twins), I wanted to create something for my babies but I didn’t own a sewing machine. Luckily my partner, Bjorn, did! He collects everything that smells like old stuff and one day he got this lovely old sewing machine from his parents as a present. What a nice gift! So this very old, manually driven Singer, became my very first sewing buddy. But except for sewing straight, straight and straight, it wasn’t really helping. And to be honest with you: I was a lousy one-hand-sewing-lady! After investing in new machines & some lessons, I started to feel the urge to share my creations: my blog, Compagnie M. was born! What once was a small blog became a true adventure! Besides sewing I started to draw my own patterns and felt the urge to share them. The reactions were so heart warming, that I took the decision to turn my passion into my fulltime job! A dream came true. I’m living on Cloud9 since then and I hope this feeling is here to last. But of course I’m not just floating around. I’m trying to create versatile sewing patterns with a vintage twist. 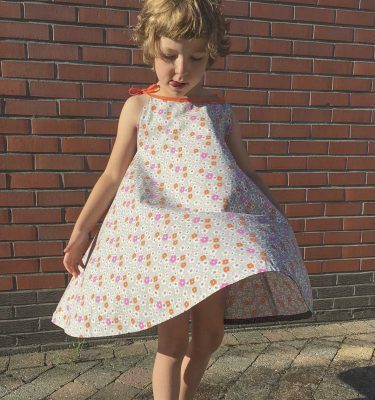 Patterns, you like to sew as a mum and (that your kids) love to wear. That’s why I choose Compagnie M. as a name, because I think we all have the same goal.I just draw the patterns and I let you and your creativity do the rest. As a creative community, I think your input to my work is invaluable! Your opinion is very important to me. As a Compagnie we can get much further then as individuals! 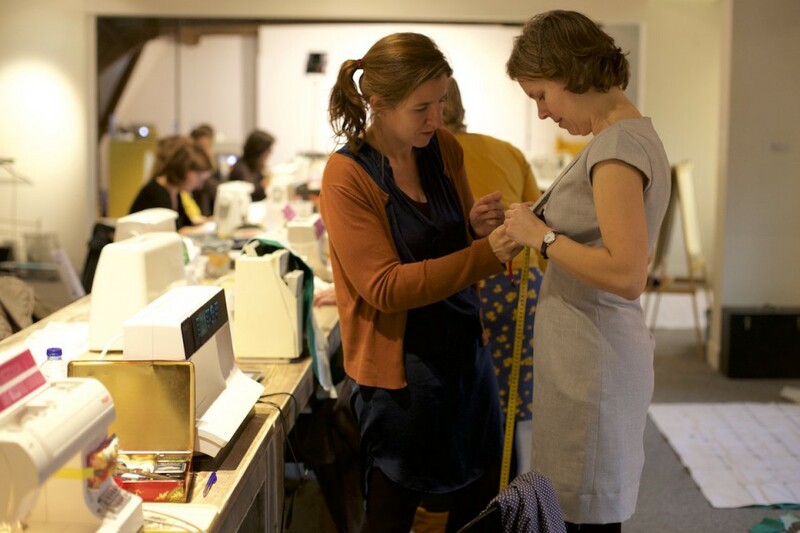 So let’s go for beautiful garments: together!